Following the liquidity crisis in NBFC major IL&FS that began last August, the entire non-banking financial services sector has been passing through a crisis, primarily related to liquidity. Economic affairs secretary Subhash Chandra Garg on Saturday blamed the lack of real-time data for the ongoing crisis in the shadow banking sector and also called for sound regulations to help develop the sector in an orderly manner. The government is trying to work with the Reserve Bank to create a system for more information about the NBFC sector, the secretary added. Following the liquidity crisis in NBFC major IL&FS that began last August, the entire non-banking financial services sector has been passing through a crisis, primarily related to liquidity and many blame the same to a crisis of confidence rather than anything fundamental. Following the IL&FS defaults, many major NBFCs like DHFL and Indiabulls among others had bad times leading to a massive fall in their stock prices. "Sound regulation is necessary for the development of NBFCs. Any regulation that throttles growth is not a good regulation," Garg told a CII summit on the sector. There is a need to create regulations that serves the needs of NBFCs and investors, and also those of the borrowers, and thereby serving the overall financial stability, he said. 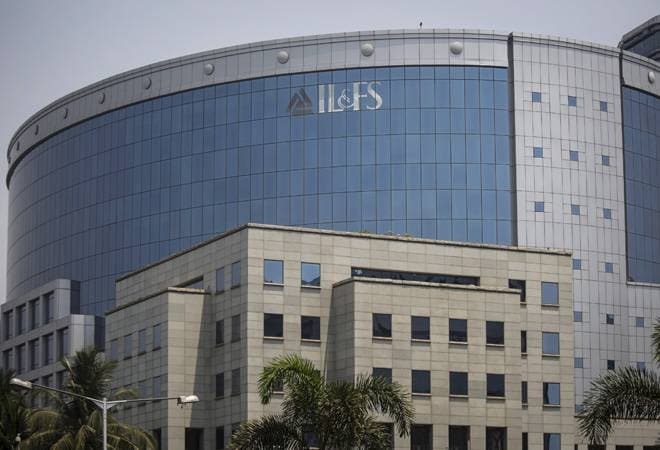 "IL&FS crisis shows there are lots of gaps not only in terms of regulations but also in data collection, information, interaction with the government or the regulators. "Today, we don't even know who to talk to in NBFCs and there are no organisations that represent them," Garg said. Underlining the need for robust and real-time data, Garg said the government is trying to work with the Reserve Bank to create a system for more information about the sector. "Data-points are very poor today when it comes to NBFCs. When the IL&FS episode happened, we wanted to look at how much change is taking place in financing side, where who they are lending to and what kind of assets they have. We don't have the data on NBFCs even on a monthly basis, forget daily, which we need," he said. Garg also called for a better and mature understanding of the funding needs of NBFCs saying they need large, long- term funds. Addressing the same event, banker Uday Kotak, who heads IL&FS now, said as financial conglomerates grow, there is a need to ensure that inter-group and intra-group transactions gets much higher attention. The secretary also reiterated that government will not allow any fiscal slippage this year. Garg further said the Bimal Jalan-headed panel on identifying an appropriate economic capital framework for the RBI will have its maiden meeting on January 8. He also reiterated that the government has not taken any decision to stop printing the Rs 2,000 notes, which was introduced soon after the government cancelled Rs 1000 and Rs 500 currency notes in November 2016. The move was later criticised by many as contributing to black money--the very same reason that led the prime minister to announce the note-ban. But almost the entire Rs 15.6 trillion of the cancelled notes returned to the system, nullifying these claims. "There is no move (to stop printing of Rs 2000 notes). These notes remain in circulation and are available and nearly Rs 7 trillion are in circulation today," Garg said. There were media reports that the government asked RBI to scale down printing of these highest value notes. Meanwhile, the NBFCs have made a few demands to the government, including opening up alternate source of funding and providing modes of refinance from the government. "We think review of the risk weighting for NBFCs other than asset financing and infrastructure NBFCs will help improve the flow of bank money to the sector," CII said in a memorandum to the government and called for allowing some the of PCA banks to lend to the sector.